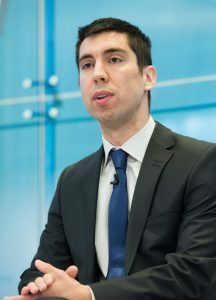 Mihai Popșoi is currently pursuing a Ph.D. in Political Studies at the University of Milan, researching the relationship between Europeanization and democratization in Georgia Moldova and Ukraine. He holds a Bachelors and a Masters degree in International Relations from Moldova State University and another Masters in Public Policy from Central European University and the University of York. He is a political and security analyst affiliated with a leading Moldovan think tank – Foreign Policy Association of Moldova. He is a contributor to the Jamestown Foundation flagship publication – Eurasia Daily Monitor and has contributed to IHS Markit, Foreign Policy Research Institute as well as the American Enterprise Institute, having contributed two chapters on Moldova to a recent AEI monograph titled: “To Have and To Hold: Putin’s Quest for Control in the Former Soviet Empire” (Editor: Leon Aron, 2018). Mihai Popsoi began his professional career as program coordinator at the NATO Center in Moldova. He then provided in-house political analysis for the Political-Economic Section of the American Embassy in Moldova. As of September 2017, he is the Vice President and International Secretary of the leading opposition party in Moldova – Action and Solidarity Party. In addition, he is also the founder and contributor at MoldovanPolitics.com.